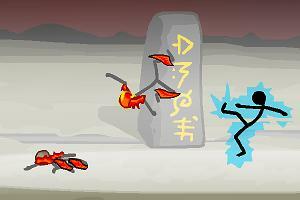 Flash games generally take a broad approach to genres. There are many out there and a lot of them are designed for different players, but the fact remains that they still try to take trends in their designs. Basically, when one flash game gets big enough, like Robot Unicorn Attack as one example, some developers follow suite and try to improve on an established formula. Tactical Assassin 2, is not of those games, and is instead remains a reminder that flash is also a diverse type of gaming. Sure, you can classify it as a shooter, but that wouldn’t adequately describe what the game offers. This is one title that doesn’t subscribe to standard tropes in gaming. It does feature shooting and that’s just about it if you remove the other elements. However a core gameplay mechanic that plays to the limits of flash, is that all your hits have to be thought out. Targets aren’t explained obviously and often you’ll have to think outside the box to bring the enemy out in the open. That could include shooting out fuse-boxes, bottles, and even a tree in one mission. Basically, each of your targets has to be distinguished amongst a few commoners. To aid you in this, the game offers you a pre-mission briefing on what you should expect the target to act like, and where their haunts may be. This whole mechanic really puts the tactical back into the game, because you aren’t given clues during the mission. Unlike other more established titles, your hand isn’t held, but you won’t be lost in the dark either. 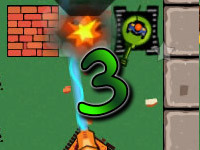 Graphically, once can expect that the limits of flash design will show in this game. Everything is in different shades of black, gray, and white. People are mostly distinguished as stick figures, and blood is kept at a minimal. You mostly see the world through the scope of your rifle. While the game isn’t of the highest quality when it comes to graphics, the tactics are really what make this game stand out among the rest. Additionally, there is also an upgrade system, which is pretty standard in a lot of flash games. However, the difference is that you won’t be able to upgrade your skills. Instead, only your gear and your rifle are subject to change so all your money at the end of each level will spent on these weapons. This adds more feel to the game and it really helps with the atmosphere of the title. Just imagine picking the right gun and the perfect scope for the job. Probably the best part about this game is that there is also challenge in the rifle mechanics itself. You are limited by both ammo, your scope range, and on top of that, the rifle sways around as you are lining up a shot. That means you’ll have to time it just right; if you didn’t bring enough ammo and miss, you fail in your mission. Yes, simply because Tactical Assassin offers something very new, while being focused about it. Other titles tend to introduce ideas along with a few bugs or weak presentation. This title perfects what is gunning for, and makes it fun along the way. It is short, but that is already a standard in flash titles. ©2019 Tactical Assassin 2. All rights reserved. Tactical Assassin is a trademark owned by crazymonkeygames.com. This website is not endorsed by or affiliated with crazymonkeygames.com in any way.